As every year Borgo Santo Pietro becomes the stage of a fun-tastic and irresistibile adventure to share with your family. 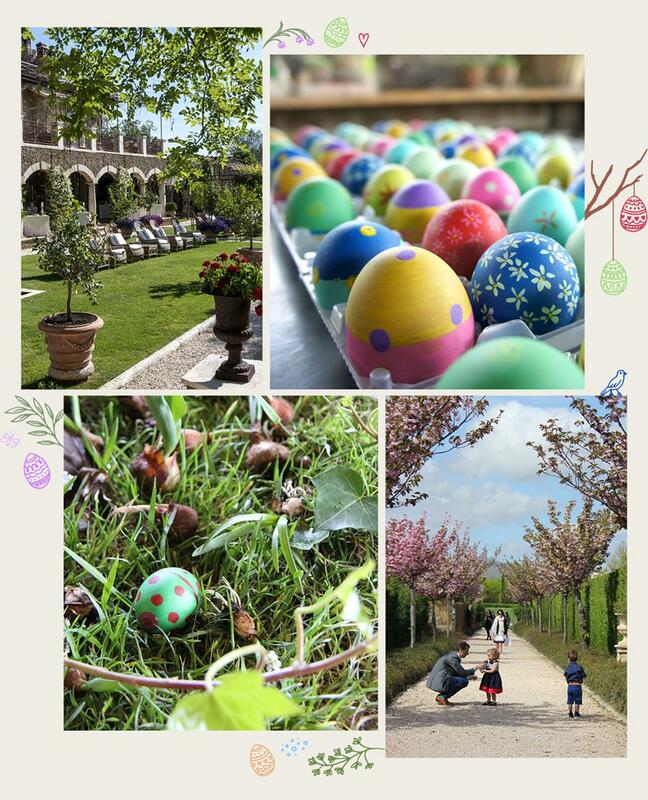 Enjoy a magic Egg Hunt, filled with surprises, treats and great fun, in our 13 acres of gardens and parks, followed by a special gourmet Easter lunch. While you sip your Champagne in the greens, your kids will enjoy a whole day event that includes lunchtime and afternoon entertainment with fun-filled activities. They can join in on a special savoury and sweet pizza-making lesson where they can either choose to actually eat their own baked creations for lunch or join you for your Easter feast. Our youngest guests will also receive the most beautiful traditional jumbo-sized chocolate Easter Egg speciallydesigned by our Pastry Chef. Borgo Eibn Mountain Lodge is a small, family-run boutique hotel in a breathtaking location. It consists of three traditional buildings: The Lodges Stavolo di Sotto, Stavolo di Mezzo and Stavolo di Sopra surprise with 15 very different apartments: romantic nest, elegant suite, casual mountain apartment. And when night falls over the Borgo Eibn, the starry sky is within reach and the almost sacred silence becomes an unforgettable experience. Framhouse of the Palms has been awarded the Publituris Portugal Trade Award 2019 in the category of Best Countryside Lodging. The Publituris Awards have been awarded for decades now and are generally considered among the most prestigious awards in tourism and travel in Portugal. Riad Azzar is the perfect place to hold your special occasion or event, such as birthday parties, special anniversaries, family and friends reunions, photo shoots. A guided tour through the ancient heart of the Medina, a round of golf at one of the top-level courses close to the city, or an excursion into the High Atlas Mountains, your hosts Maryk and Cees will be delighted to create a personal programme for your group. Please note, we are only able to offer the opportunity for special events if the Riad is rented exclusively, so as not to disturb other guests. For further information and for a tailor-made programme, please contact us on info@riadazzar.com. How about a gift that will last forever to your beloved one? You can impress with a beautiful jewelry or a romantic experience, that will be remembered for a lifetime. February 14th, in several countries the Valentine’s Day is celebrated, in honor of Saint Valentine. For that reason, we made a list of five ideas! Follow the link … Five ideas! During your stay you will experience a uniquely personal and informal atmosphere. We have been welcoming and re-welcoming guests to The Farmhouse for over 20 years now. We provide a highly polished service in this friendly and fun dwelling in which guests can make themselves at home. The Farmhouse is much more than just another Alpine chalet-hotel in Morzine. The property, made up of three buildings, is the oldest in Morzine and has been renovated with the greatest care to create a Morzine manor house of exceptional charm and character. Located in the peaceful old town of Morzine we offer our guests the holiday they want, taken at their pace, all year round. Our bar is at the heart of The Farmhouse and, with the adjoining sitting room, offers the perfect retreat after a day on the slopes. Dark wooden beams, unique slate floors mined from the mountains around Morzine, open fires, comfortable furniture and a large range of drinks await! Join us in The Farmhouse restaurant for a communal dining experience and a truly international quality menu. After canapés in the bar, guests eat in our atmospheric dining room around a long communal table lit by candelabras and oil lamps. Our restaurant is open to all.